Lights, Camera, Action. Video puts a new spin on traditional Public Relations. If you are Public Relations professional (or online marketer), the time has come to implement new tactics that will keep your audience excited, engaged, and encouraged to share. While optimized press releases, case studies, and white papers are great forms of online content, it’s time to take advantage of one of the hottest media formats on the web. A study done by Forbes stated that 75% of senior executives surveyed said that they watched work-related videos at least weekly, and 52% watched work related videos on YouTube at least once a week. I will warn you that implementing a video marketing campaign is not always easy and not always successful, but there are some practical tips that can improve your chances of #winning with an online video strategy. A press release can only say so much. Sure you can offer statistics and anecdotes to motivate action but is it really enough? For example, lets say that you have a non-profit client that raises money for the homeless. How moving would it be to capture what your client is doing to help the homeless on video? I’m not talking about a video news release of course, but a true life account of not only what they are doing on an ongoing basis to help those in need, but showing the face of the audience they are trying to help – priceless. Consumers, businesses, and the general public can be inspired to take action based on the emotional connections that see once a story is presented visually. I for one nearly burst into tears each time I see the ASPCA videos speaking out against animal cruelty featuring Sara Mclaughlin’s “Arms of an Angel”. One of the reasons that many people enjoy, and interact frequently with video is because it enables them to consume more information without much effort. The last thing you want to do is spend countless hours creating a video that will simply be skipped over. Think in terms of sound-bytes. Give a top level overview and stick to the topics and tactics that you believe will have the largest impact on your audience. Also short videos have been proven to get more views according to testing done by video management service, Wistia. Testimonials are critical for generating new business. The willingness of your current and former clients to speak favorably about their experience with you is priceless. In addition to posting and emailing testimonials in their standard format, consider adding video testimonials for increased effect. It may take a little extra effort to coordinate the recording of testimonials, but just about any point and shoot camera offers decent video recording capabilities as do many smart phones. Perhaps you have a press release that did exceptionally well when originally released. Why not take the opportunity to repurpose your original information as a news story using video? You could also create a video that is a compilation of multiple stories as a news update aimed at keeping your audience informed. For more ideas, check out this post on 5 Ways to Repurpose Content. Video is an opportunity to promote branded content that is both entertaining and engaging. With sharing widgets embedded, videos can be shared with multiple social networks in a few clicks. The easier you can make it for your audience to share, the broader the reach your video will have. Consider embedding YouTube videos on your website to improve ease of viewing and sharing for your audience. 17 million = the number of people that people have connected their YouTube account to at least 1 social service. 12 million = of those connected and auto-sharing with at least one network. 150 years = number of years of YouTube videos that are watched each day on Facebook. Over 50% = the number of videos that have been rated or include comments from the community. Whether you’ve implemented a video campaign before or are simply testing the waters, video can have a large impact on engagement and separate your news from your competitors. What are some of the video campaigns that have had a large impact on you personally? Anything funny, controversial or compelling? Are there video tactics that you have tried before and would recommend to our other readers? Very good post, I very much enjoyed reading it and I am sure the information will be of alot of use to me..
Another great post and tips. Video content is something we need to look into. Video content must be very creative to attract viewers. Great tips you have shared here. Surely videos are gonna be bigger than ever due to the ever shrinking attention span. It’s always interesting surfing the web and reading new articles, to find out different ways you can improve at work. And this is the one I like best today. I run an SEO Firm, and do not currently involve any video blogging. But why not? I asked myself after reading your blog. Truly it seems accurate that business-folks do watch videos to enhance their work performance, just like i read your blog. And I watch video’s too. Awesome!! All of these online marketing tips are very informative and useful. I’ll use these tips to promote my next blog. Thanks mate good information. Thanks, Ashley, for the great advice. Been dabbling with video but not really on a consistent basis. Your pointers got me thinking to give it another go. Thanks for reading Mark. Videos are a great way to inject some new life into your online marketing campaign. Good luck! I’m a newbie to video blogging and this post is very helpful. Fantastic article! I am going to implement these steps right now. hmm such amazing informative answer dear. I agree, videos are a great way for your business to reach your targeted audience in a stress free casual environment. Video content can tell a consumer a lot about your company/brand and vise versa. In terms of marketing your brand, video content is a great way to optimize your website simply and efficiently. the rank of a website and helps it in getting visible. links should not be broken and you have maximum internal links. 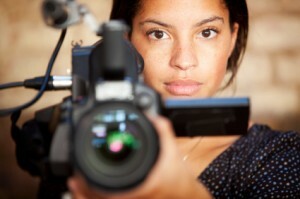 Excellent article on the advantages of video content for digital rainmakers. In addition to the impressive video consumption statistics offered by YouTube, content developers, publishers and brand marketers will also be able to leverage the influence of video in more click-to-play video marketing platforms in 2012. I don’t think it looks that much secret… I’d rather say it’s her most obvious features. Pretty young woman, nonetheless.